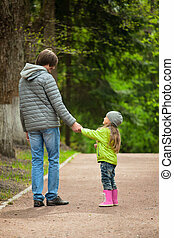 Dad walking with daughter. 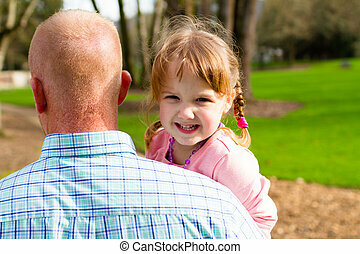 Little curl walking with her dad on on the beach. 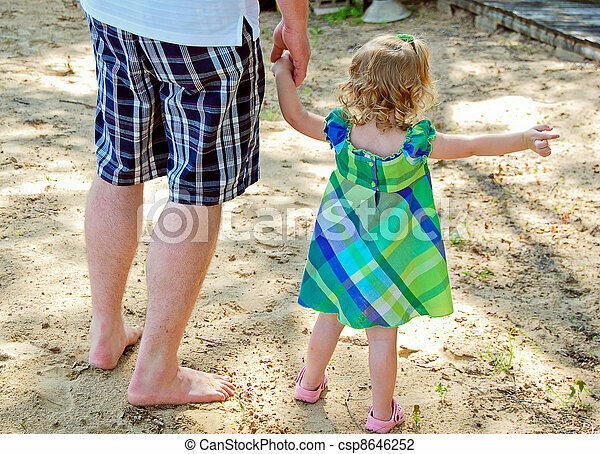 Little curl walking with her dad on on the beach. 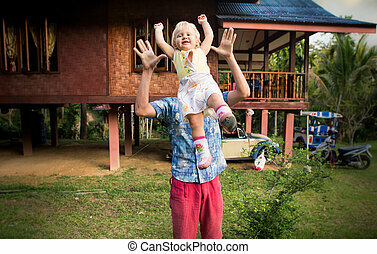 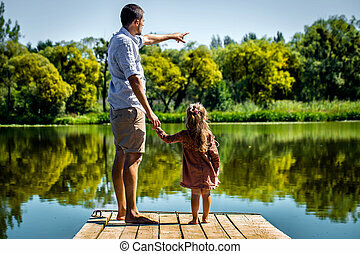 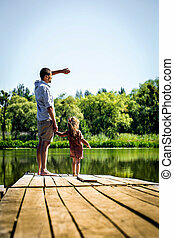 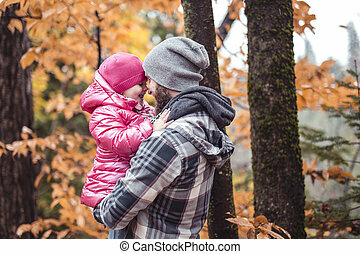 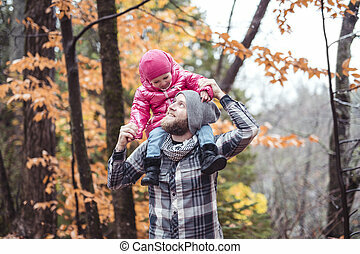 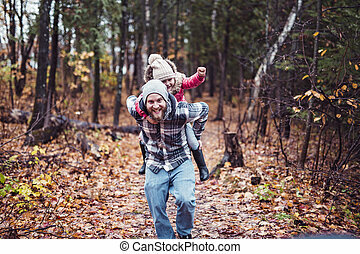 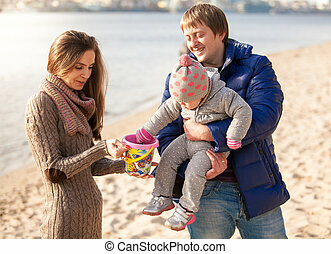 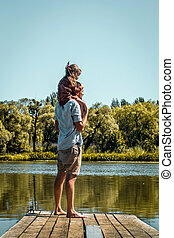 Father walking with daughter in the park, happy family moments. 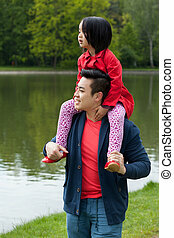 Daughter being held by her parent while walking at a park. 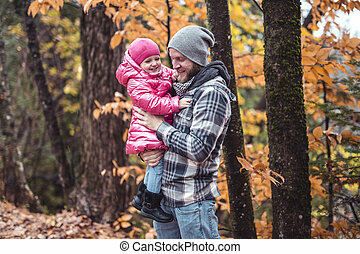 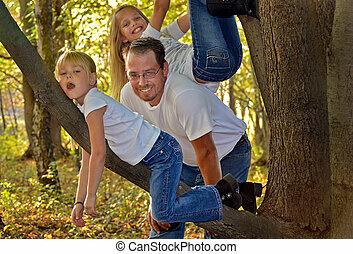 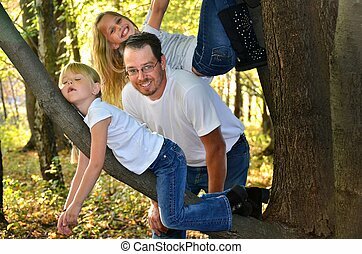 Dad with his daughters in autumn woods. 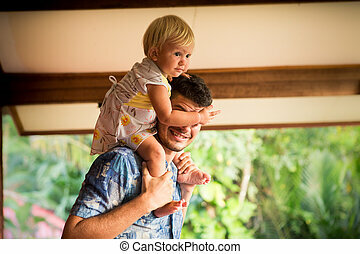 Sister with dad in swimming pool. 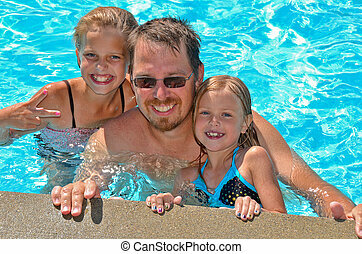 Dad with daughters in swimming pool. 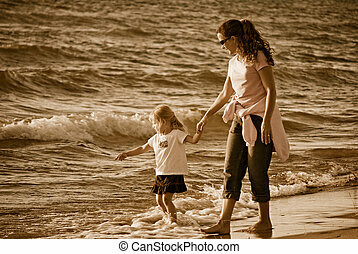 Mother with daughter walking on a beach.